Three years after its unveiling, Fantastic Beasts and Where to Find Them is set to hit cinemas across the globe Friday, November 18. This time, J.K. Rowling’s wizarding world apparates across the Atlantic to a 1920s New York City. The film begins with a tweaked take on the memorable Harry Potter theme, before swooping down on NYC’s very own Daily Prophet, the New York Ghost. We catch glimpses of moving pictures littered with words such as Hogwarts, Gellert Grindelwald and dark magic. We are then tossed headfirst into this new world. 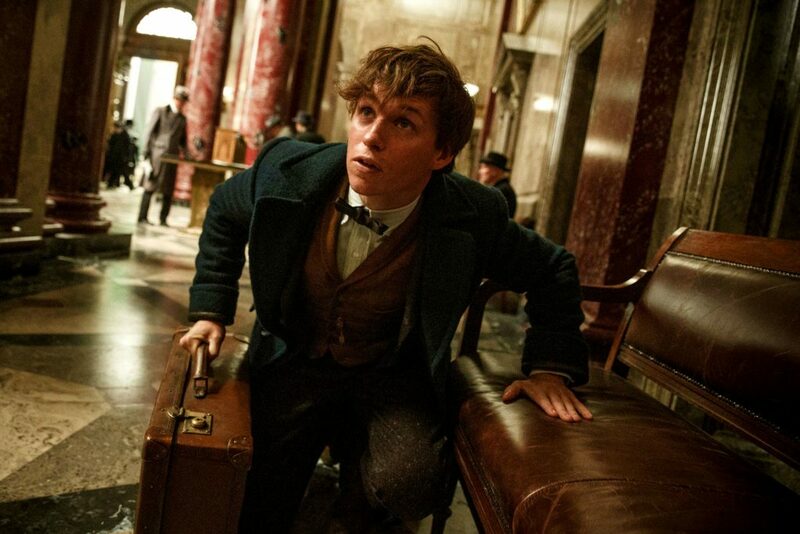 Newt Scamander, played by Eddie Redmayne, arrives in New York City with a case full of magical beasts – some of which are accidentally set loose by the no-maj (the American term for muggle) Jacob Kowalski (Dan Fogler). The two are then aided by Porpentina ‘Tina’ Goldstein (Katherine Waterston), a disgraced Auror from the Magical Council of the USA (MACUSA) in their quest to recover the escaped creatures. 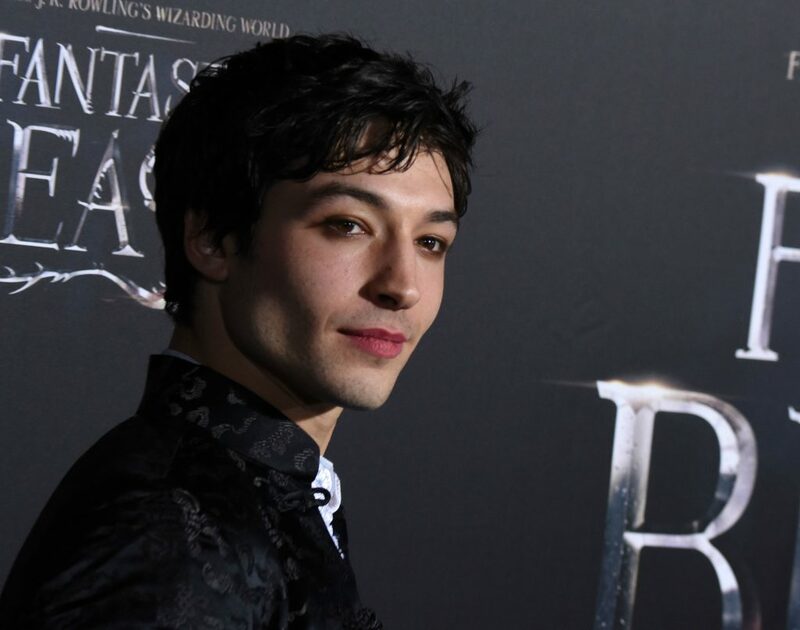 Under David Yates’ direction we are treated to a throng of thrilling talent – Ezra Miller’s performance as the disturbed Credence, painted with the chilling clarity, deserves an award of its own. To this end, his character passes by terribly underused. Notable too was Colin Farrell’s performance as MACUSA employee Percival Graves. 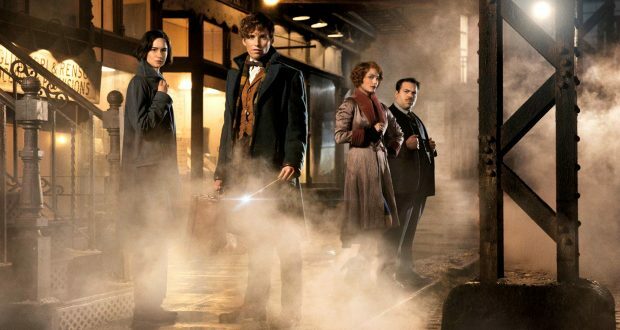 Of course, the film offers familiar (and tear-jerking) music and makes spectacular use of CGI, but its apparent purpose – to introduce us to a healthy supply of magical creatures studied in Harry Potter’s Hogwarts text – seems to be no more than a ploy to awaken the sleeping Potterhead within and draw in another blockbuster film. 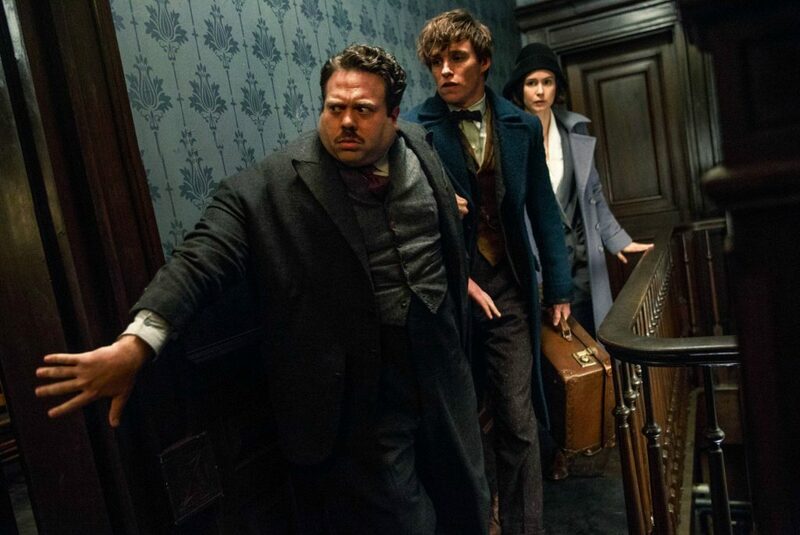 By far the most fascinating of these ‘beasts’ comes in the cuddly form of Newt’s jewel-seeking Niffler – who is undeniably the film’s best source of comic relief. Yet, for all its visual splendour and stellar cast, Rowling’s screenwriting debut seems only to scrape the edges of a potential plot – lacking the basis she provided in Philosopher’s Stone and only gaining momentum in its final moments. Though, with four movies to come, she has hours still to layer this tale as she has before. Undeniably, the film’s greatest surprise and saving grace arrives in a most unexpected style, following a fresh revival of our favourite Harry Potter scenes – the magic duels. This alone is enough to drive the assurance that Rowling has great plans for the series, shattering any doubt that the choice to bring the wizarding world back to the silver screen was a mistake. Whatever your thoughts, rest assured there are thousands of Potterheads awaiting this Friday with their wands at the ready.